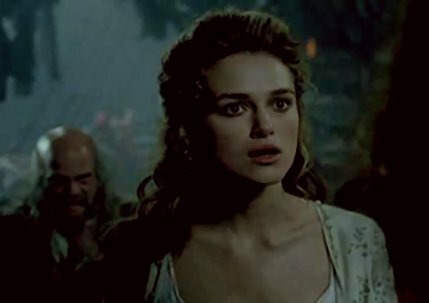 Elizabeth Swann. . Wallpaper and background images in the Watak TV Wanita club tagged: elizabeth swann female characters tv pirates of the caribbean potc. This Watak TV Wanita photo contains potret, headshot, closeup, and headshot closeup. There might also be daya tarikan, rayuan, kepanasan, and hotness.